Boxing, Money, and Health: The Floyd Mayweather Case Study and InfographicThis pioneering boxing sports business infographic case study about Floyd “Money” Mayweather is full of Big Data facts for the Sports Techie community blog to analyze. The explosion of Pay Per View technology in sports and in particular boxing and the UFC have helped Mr. Mayweather leverage his personal brand into becoming the global sports and entertainment icon that recently earned him over $100 million for less than a four hour shift. Once known as simply “Pretty Boy,” Floyd Mayweather Promotions is now a true money making sportsbiz machine. Earlier this year, he split with HBO and signed on with Showtime for a six-fight deal, mega-buck deal. Showtime Sports general manager Stephen Espinoza made a wise financial decision to go after boxing’s biggest money earner ever. Mayweather started with HBO at the start of his Professional career after winning a bronze medal at the 1996 Atlanta Olympic game. His fight with Oscar De La in 2007 set the course for the rest of his Pro fights by topping the existing pay-per-view record and selling over 2.5 million packages. In effect, he set the new standard for the production of top ranked boxing matches utilizing rapidly evolving sports tech and social media to reach the public’s mindshare. According to Yahoo, he averaged more than 1 million pay-per-view sales per fight over the last six years before signing with Showtime. Was this a mistake by HBO or did Showtime simply outsmart their competitors and overpay? I say both. Showtime knew exactly what a commodity Mayweather was and gave him a deal he could not refuse that most likely involved a much bigger cut of his six-fights and a large percentage of the generated PPV revenue. HBO did sign a boxing partnership with ESPN in 2012 that helps make up for losing the champ of champs. HBO’s popular documentary series, 24/7, was perhaps the first reality entertainment show on TV and was well timed to help promote his epic clash with Hispanic superstar, Oscar De La Hoya, back in 2007. The 24/7 show displayed Money’s daily routines and gave fans a never before seen, behind the scenes look at how he interacted with his trainers, entourage and family members. Mayweather’s rocky relationship with his Dad, Floyd Mayweather Sr., who was also his trainer then and now, broke rating records and set another standard for sports reality television. I watched his second Showtime fight versus Saul Alvarez at the MGM Grand Garden Arena in Las Vegas on a delayed network broadcast that brought him a record-breaking minimum of $41.5 according to the infographic. This total does not include unreleased PPV revenue that moves this figure past an unprecedented nine figures mark of over $100 million. He paid out of pocket for the Alvarez purse knowing full well the earning income potential of his six fights for Showtime, something HBO failed to visualize and capitalize on. 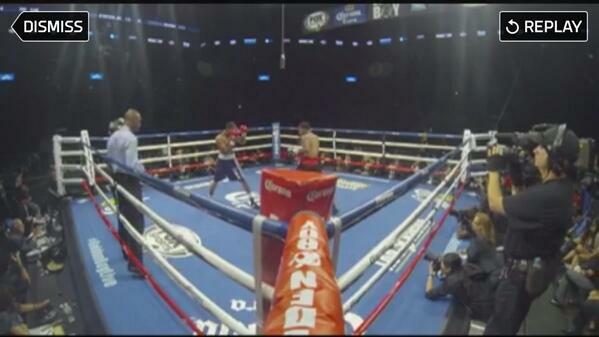 A Sports Techie crazy fact to consider is that one of judges rated the one-sided fight a draw. The CompuBox numbers alone challenge his human scoring total, but most everyone who watched it would agree that Mayweather won the match, even if it was by a mere one-point. How on earth did that judge calculate his tally? I believe it is time for a convergence of sports and technology to ensure that human judgment is not the sole parameter for deciding who wins a fight. With match fixing rampant throughout sports all over the world, you have to wonder whether illegal gambling and activity is part to blame. If CompuBox or another similar sports technology became an official judge’s tool, this kind of “what are you thinking” score card will be a thing of the past. According to Compubox, Mayweather’s jab (11 of 27 per round) and accurate power punching (53%) the difference in the fight. Alvarez landed 22% of his total punches after landing 42% in his previous 7 fights. Mayweather loves to gamble, the bigger the game, the bigger the stakes, the more money he will pour into gambling. He bets on a hunch which has over the years earned him nice returns on his investments. It is common for Money to bet anywhere from $25,000 to $400,000 per wager as per his Twitter account and he posts picture to prove these claims to his nearly 4,500,000 followers. He likes to bet on the Oregon Ducks and last month he won $86,000 and $200,000 on Texas A&M bets. The next Money fight against Manny Pacquiao or whoever is next will probably scale up $125 to purchase the HD PPV broadcast stream resulting in Mayweather probably taking home an extra $50 million but how long can he keep this up and not worry about the serious damage that happens to a boxer’s brain and body. Mohammed Ali fought until he was 41 years old and now has Parkinson’s disease. Can Mayweather make it through another four fights against contender that want to pound him into submission? Is all the money in the world worth that? Who will help lead boxing into the next generation fighter? Mayweather is a man on a mission and changed sports and the business of boxing. For years, the slower heavyweights drew the largest live crowds but today the sport’s popularity is the middle weight divisions thanks to Money. He did not let the loyalty of his relationship with HBO stand in his way and signed on with Showtime in order to control more of the purse. Floyd was truly visionary in that he understood the coming growth of digital media and the impact it would have on all sports but especially boxing. His team saw PPV as the vehicle to these incredible earnings and the rest is history thanks to Showtime. Other Money facts worth noting include that he does not watch tape of himself or his opponents; he has no endorsements and is a consistent social media participant. The relationship Mayweather has with Al Haymon, his boxing advisor, and Oscar De La Hoya’s company, Golden Boy Promotions, are other major factors as to why all this came together like it did for Money. Zelda Robbins works for Sportsmanagementdegreehub.com and came across the Sports Techie community blog while doing infographic research and dropped me a note of appreciation and several nice comments about our good content and great readership. Thank you! Sports Techie, My brother Ricky is the biggest boxing fanatic in our family while my other younger brother is a lifetime big-time wrestling fan of the WWE, which leaves me to be the UFC junkie because MMA is the real-deal. Sorry Rolando but as much as I am a fanatical fan of the WWE, boxing and the UFC or Ballator are for real. The Money Team Brand wants to become a Fortune 500 brand and they are on the way. They are down to their last four fights on Showtime. Fight number three of six is sure to continue showing the superior fight intelligence that Money brings to boxing along with his business savvy in the digital sports age. That is until he gets caught by upper cut that breaks his jaw that loses him his undefeated record as can happen in boxing. Father time catches up on all lifetime athletes, its just a matter of when. If you have opinions about Money, his sports business operations or have a comment about whether you agree that more sports tech should be used throughout boxing, please leave a blog comment below or via any of our sport media network links.